Although the 62-year-old didn't specify the nature of his illness, it has been widely reported to be cancer. The former Bee Gee has had a series of ailments. He was hospitalized last year for stomach and colon problems, and underwent intestinal surgery last month. 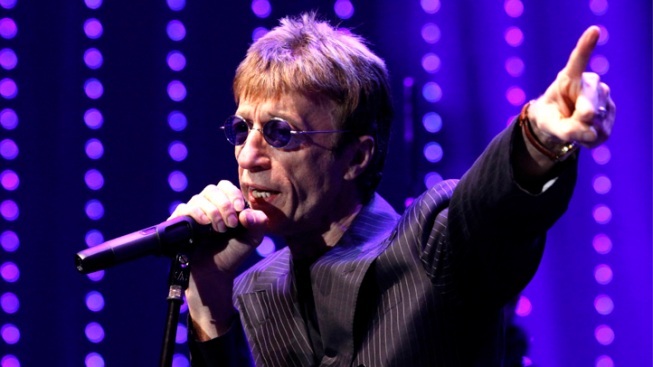 Former Bee Gee Robin Gibb is gravely ill with pneumonia in a London hospital, British media reported Saturday. The Sun newspaper reported that 62-year-old Gibb is in a coma, citing a family friend. The newspaper and the Press Association news agency said family members including wife Dwina and brother Barry were at his bedside. Gibb was hospitalized last year for stomach and colon problems and had intestinal surgery last month. Gibb has not specified the exact nature of his illness — widely reported to be cancer — but told the BBC he had a growth on his colon that was removed. He said earlier this year that he was making a good recovery, but was forced to miss the London premiere of his classical "Titanic Requiem" this week because of illness. His son Robin-John Gibb said the family was "praying for him and hoping he has a speedy recovery."